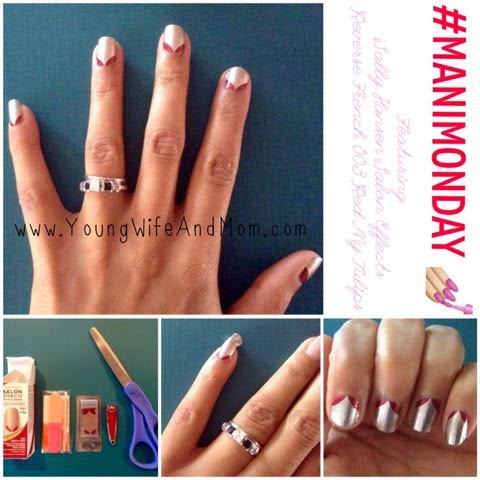 Here is today's DIY mani featuring Sally Hansen Salon Effects Reverse French in 003 Read My Tulips. These came from the stash I bought for one dollar each at the dollar store. Each box comes with two 8pks nail polish strips, cuticle stick, mini file and buffer. Using just one of the 8pks, I was able to do a full mani by cutting the strips in half (I like my nails short). Overall, they look great, are completely dry on application and a money saver at only $.50 today. I can use the other pack on another mani.